This booklet was developed as a part of Special Study Unit (Doctors as Teachers) at Peninsula Medical School. This booklet covers some of the important aspects of Ophthalmology. 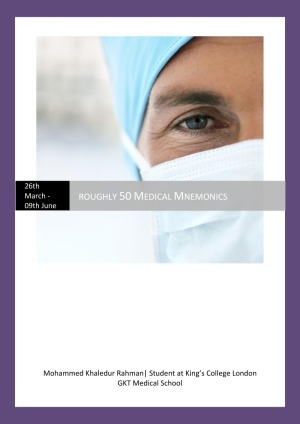 This booklet could be used as a quick revision guide before finals and also could be used along Ophthalmology placements. 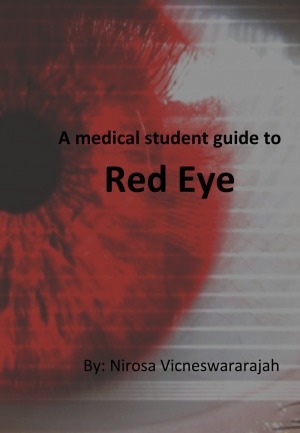 The purpose of this booklet is to provide some insight into the most common presentations of red eye and their management. Thorough flowchart for carrying out a full examination of the gastrointestinal system - should come in very handy for OSCEs! 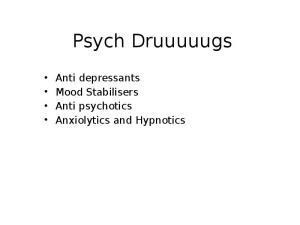 A PowerPoint presentation created for revision purposes of psychiatry meds. 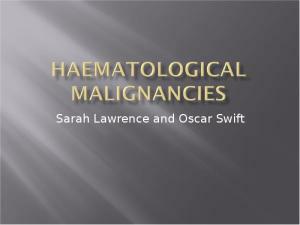 Get a brief overview of the haematological system - covering Leukaemias, Lymphomas, Myelomas and other paraproteinaemias. Because of the snail's pace that education has developed at, most of us don't really know how to study because we've been told lectures and reading thousands of pages is the best way to go, and no one really wants to do that all day. That's not the only way to study. My first year of medical school... You know when you start the year so committed, then eventually you skip lectures once or twice... then you just binge on skipping? Kinda like breaking a diet "Two weeks in: oh I'll just have a bite of your mac n' cheese... oh is that cake? and doritos? and french fries? Give me all of it all at once." Anyways, when that happened in first year I started panicking after a while; but after studying with friends who had attended lectures, I found they were almost as clueless as I was. I'm not trying to say lectures are useless... What my fellow first years and I just didn't know was how to use the resources we had– whether we were keen beans or lazy pants, or somewhere in between. I still struggle with study habits, but I've formed some theories since and I'm going to share these with you. Reading While reading should not be the entire basis of your studying, it is the best place to start. Best to start with the most basic and detailed sources (ex.Tortora if it's a topic I'm new to, then Kumar and Clark, and Davidson's are where I usually start, but there are tons of good ones out there!). I do not feel the need to read every section of a chapter, it's up to the reader's discretion to decide what to read based on objectives. If you do not have time for detailed reading, there are some wonderful simplified books that will give you enough to get through exams (ICT and crash course do some great ones!). I start with this if exams are a month or less away. Later, it's good to go through books that provide a summarized overview of things, to make sure you've covered all bases (ex. Flesh and Bones, the 'Rapid ______" series, oxford clinical handbook, etc.). These are also good if you have one very specific question about a subject. 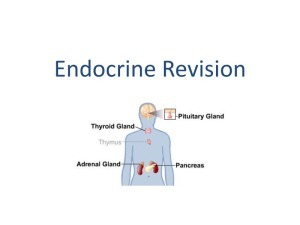 Video Tutorials**** After all that reading, you want the most laid back studying you can find. This is where Meducation and Youtube become your best friend. (I can post a list of my favourite channels if anyone is interested).I always email these people to thank them. I know from the nice people that run this website that it takes a tremendous amount of effort and a lot of the time and it's just us struggling students who have much to gain. Everyone should use video tutorials. It doesn't matter if you're all Hermione with your books; every single person can benefit from them, especially for osce where no book can fully portray what you're supposed to do/see/hear during examinations. Some youtube channels I like https://www.youtube.com/user/TheAnatomyZone https://www.youtube.com/user/ECGZone https://www.youtube.com/user/MEDCRAMvideos https://www.youtube.com/user/awolfnp https://www.youtube.com/user/harpinmartin https://www.youtube.com/user/RadiologyChannel Lectures We're all thinking it, lectures can be boring. Especially when the speaker has text vomited all over their slides (seriously, If I can't read it from the back of the lecture hall, there's too much!. It's even worse when they're just reading everything to you, and you're frantically trying to write everything down. Here's the thing, you're not supposed to write everything down. If you can print the slides beforehand or access them on your laptop/ipad/whatever you use and follow along, do that. You're meant to listen, nod along thinking (oh yes I remember this or oooh that's what happens? or Oh I never came across that particular fact, interesting!). 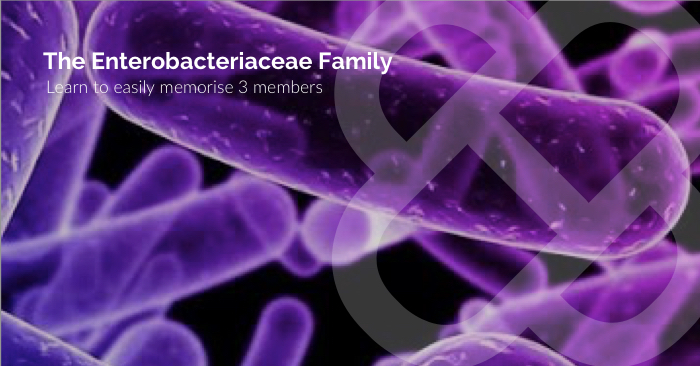 It's also meant to be a chance for you to discuss interesting cases from the a doctor's experiences. If you're lucky to have really interactive lecturers, interact! Don't be shy! Even if you make a fool of yourself, you're more likely to remember what you learned better. If you happen to be in a lecture you're completely unprepared for (basically 70% of the time?). Think of it as "throwing everything at a wall and hoping something sticks." Pull up the slides on your smart phone if you have one, only take notes on interesting or useful things you hear the speaker say. If all else fails, these lectures where tell you what topics to go home and read about. Tutorials My university has gradually increased its use of tutorials, and I couldn't be happier. Make the most out of these because they are a gift. Having the focused attention of a knowledgeable doctor or professor in a small group for a prolonged period of time is hard to lock down during hospital hours. Ask lots of questions, raise topics you're having trouble understanding, this is your protected time. Discussions In group study activities, this is particularly hard to make the most of when everyone in your group varies in studying progression, but even so, it can be beneficial. Other people's strengths might be your weaknesses and vise versa– and it's always helpful to hear an explanation about something from someone at your level, because they will neither under or over estimate you, and they will not get offended when you tell them "ok I get it that's enough." Myself and 3 of my medic friends would meet once a week the month or two leading up to exams at one of our houses to go through OSCE stations and concepts we didn't understand (food helps too). Besides peer discussions, you should take advantage of discussions with doctors. If the doctor is willing to give you their time, use it well. Practice Questions I am a practice question book hoarder. Practice questions book not only test and reaffirm your knowledge, which is often hard to find if your exams are cumulative and you have little to no quizes/tests. They also have concise, useful explanations at the back and, they tell you where the gaps in your studying are. For my neuro rotation, the doctor giving the first and last lecture gave us a quiz, it was perfect for monitoring our progress, and the same technique can be used in your studies. Practical Clinical Experiences If you freeze up during exams and blank out, and suddenly the only forms of text floating around your brain are Taylor Swift lyrics, these are bound to come to your rescue! "Learn by doing." 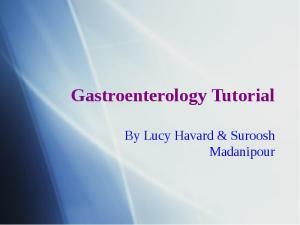 Take as many histories as you can, do as many clinical exams in hospital, and on your friends to practice, as you can, see and DO as many clinical procedures as you can; these are all easy and usually enjoyable forms of studying. Teaching Have you ever had an experience where one of your peers asks you about something and you give them a fairly good explanation then you think to yourself "Oh wow, I had no idea that was actually in there. High five me." If there is ever an opportunity to teach students in the years below you or fellow students in your year, do it! It will force you to form a simplified/accurate explanation; and once you've taught others, it is sure to stick in your head. Even if it's something you don't really know about, committing yourself to teaching others something forces you to find all the necessary information. Sometimes if there's a bunch of topics that nobody in my study group wants to do, we each choose one, go home and research it, and explain it to each other to save time. If you're doing this for a presentation, make handouts, diagrams or anything else that can be used as an aid. 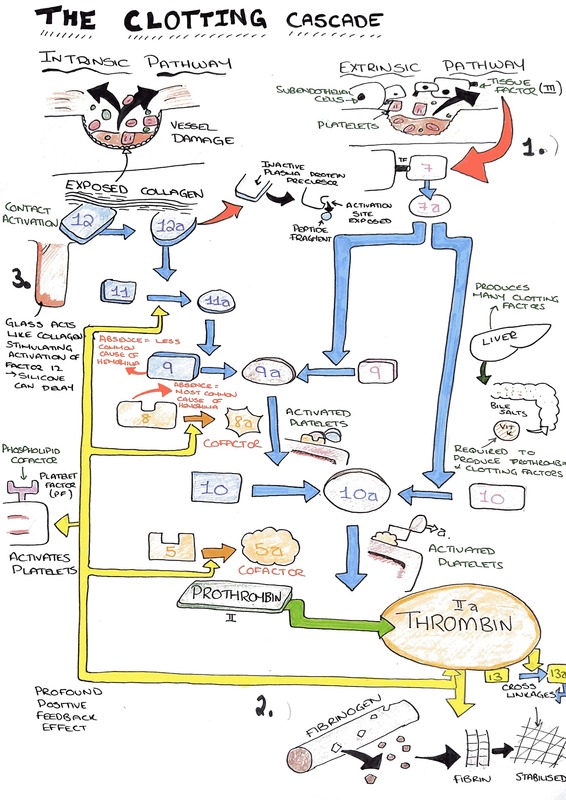 An image of both the intrinsic and extrinsic pathways of the clotting cascade including the interactions between the two and other finer details. Useful table for med students covering route, origin, course and branches and injury. 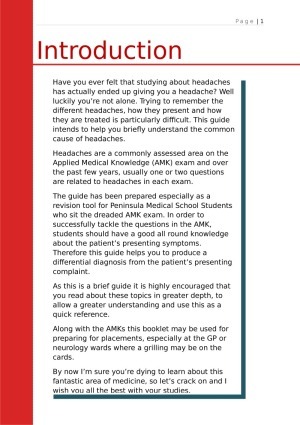 Teaching resource designed for Peninsula Medical School Students, who sit an exam called the AMK. 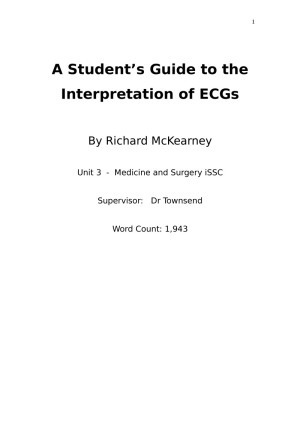 This exam is an MCQ based exam and covers a number of clinical scenarios. This booklet specifically looks at the common causes of headaches. 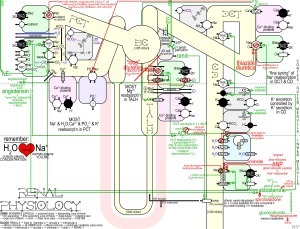 Great Schematic for the Renal Physio includes hormones action and their sites, the various electrolyte transporters and some associated deficiencies. 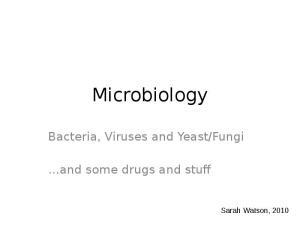 The best Microbiology video yet! 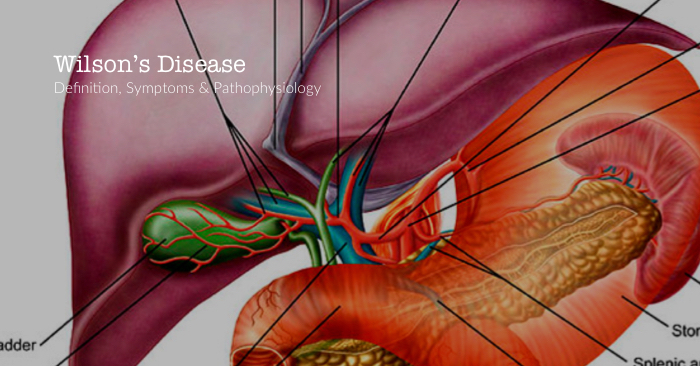 Excellent video covering the pathophysiology of Wilson's disease, as well as common signs and symptoms, complications, and treatments. 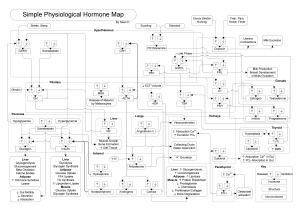 Hormone Map schematic. Looks a bit over whelming at first and may require some color coding by you for mechanisms of action (Gq, cAMP, IP3/DAG, etc..), but proved useful for Exam time. 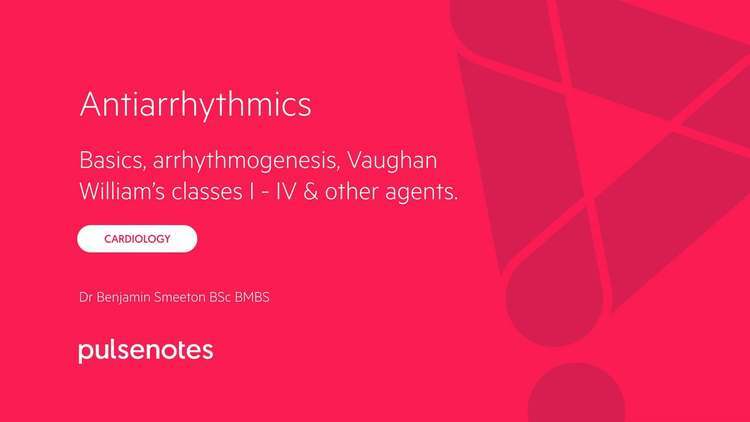 An overview of the antiarrhythmics drugs by Dr Benjamin Smeeton. Please note the Brachial Schematic is available in print, please contact l.farmery1@gmail.com if interested and consider sharing the Brachial Schematic on Facebook etc. Many thanks. 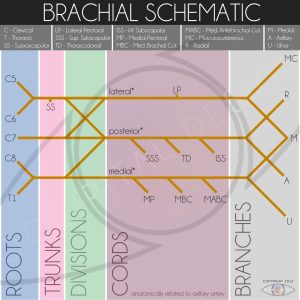 The Brachial Schematic is a 2-d visual representation of the Brachial Plexus. 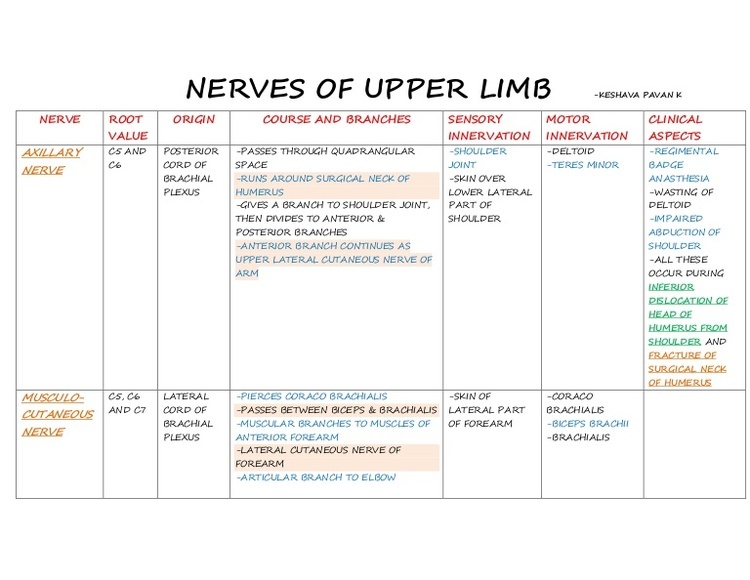 The Brachial Plexus is a network of nerves that supplies the upper limb. The illustration was inspired by the work of Henry Beck on the London Underground Map and also by the numerous illustrations already depicting the Brachial Plexus. This image is related to my Arterial Schematic and whilst that image has had far more success, it is hard to say which one of these images came first. I am particularly proud of the fact that the Brachial Plexus will be appearing in an adapted form in Edition 9 of the Oxford Handbook of Clinical Specialities.